Keeping scores on something can motivate people to do better, especially if safety is involved. Safety Scoreboard is designed to help you keep track of the consecutive accident-free days in your workplace. The software offers a good degree of customization so that you can adapt it to any work environment. 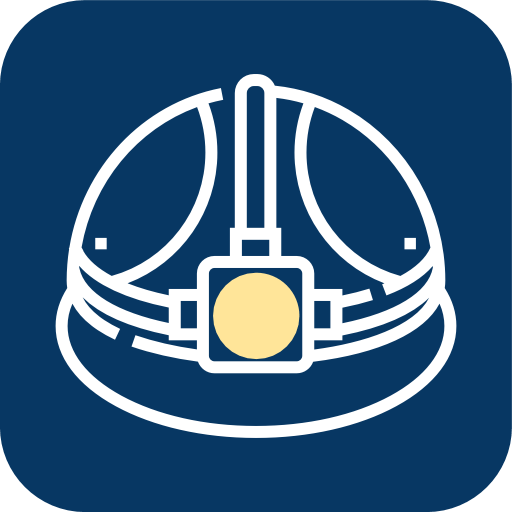 Whether you're working in a factory and wish to make employees avoid accidents or in an office and don't want to deal with wasted time, you can use this lightweight application to motivate everyone. The application is free to try, but with a nag screen that shows up after five minutes of use. It can be installed like any other Windows application, and you won't spend more than a few seconds to complete the operation. The software is compatible with numerous Windows systems, and it doesn't ask for any special tools or services. When launched, the application displays the main scoreboard, with default text and settings, as well as the board's configuration panel. The software's message states that the company has gone without an accident for a number of days, which is automatically updated each day. Apart from the days counter, you can edit each part of this message separately in a series of input fields. You can specify your own company, a specific accident if you want to, a different motivational message than "Safety begins with you" and much more. It is even possible to change the color of the background, text and counters if you want to make the board more pleasant to look at or make it fit in a certain environment. As previously mentioned, the counter is updated automatically. All you have to si specify the date of the last accident and the application will show how many days have passed since it happened. Additionally, you can specify a previous record if you want to. Everything you enable and type will appear instantly on the board, so you don't have to wait or click anything to apply your changes. The software lets you set up a scoreboard for multiple locations as well. If your workplace has up to three departments, you can set up counter for each of them, as well as their own previous records. You have to select the date of the last accident for each section, but the rest of the text will be applied automatically everywhere, so you don't have to type it more than once. Once your preparations are complete, you can hit the Esc key to hide the customization panel. The main scoreboard can be set to full-screen mode so that everyone can see it. Having a projector, a multimonitor setup or a big screen connected to your computer will definitely go well with this piece of software. 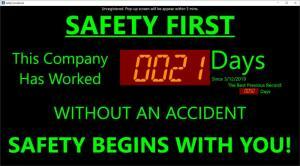 Safety Scoreboard gives you the possibility of keeping your employees motivated to avoid accidents of any kind. You can customize your own scoreboard. The software lets you edit each piece of the message separately. It counts the days since the last accident automatically. Registering the software may take up to 24 hours. You can download Safety Scoreboard free here.